GM Foods, there is growing evidence of harm from consuming these foods.. In 2009, physicians were asked to notify their patients to avoid all GM foods by the Academy of Environmental Medicine. They concluded that "several animal studies indicate serious health risks associated with genetically modified foods" including infertility, immune problems, accelerated aging, faulty insulin regulation, and changes in major organs of the gastrointestinal system. Why Isn't the FDA Protecting Us? The Food and Drug Administration in 1996 claimed that GMOs were basically the same as conventionally grown crops...claiming that they were safe to eat and no safety studies were required. A lawsuit revealed that the FDA's position was promoted by political appointees favorable to the GM proponents. Prior to this position, FDA scientists warned that genetically modified foods can create unpredictable, hard to detect side effects that include allergies, toxins, new diseases and nutritional problems. They urged long term safety studies. They were ignored. The GM process causes mutation damage in hundreds or thousands of locations within the plant's DNA. Natural genes can be eliminated or turned off and many will change their behavior. The new inserted genes may also be damaged or rearranged and can cause allergies or promote disease. The five major food crops: corn, soy, canola, cotton and sugar beets have foreign genes inserted into them. This allows the plant to survive what would normally be a deadly dose of weed killer. Farmers that use GM crops apply larger amounts of herbicides that leave an abundant herbicide residue. About 68% of GM foods are in this category. The other important GM trait is found in GM corn and cotton. Soil bacterium is inserted into their DNA. The plant now can secrete insect-killing toxin into every cell. Approximately 19% of GM crops produce their own pesticide. Another 13% produce both pesticides and are herbicide tolerant. The Hawaiian papaya and relatively small amounts of yellow crookneck squash and zucchini that have been modified to resist a plant virus can be found in the marketplace. Soy allergies soar by 50% soon after GMO soy was introduced in the United Kingdom. Cooked GMO soy has up to 7 times the amount of soy allergens. GMO soy has new allergens not found in wild natural soy. GMO testing fails to guarantee that GM products will not cause allergies. 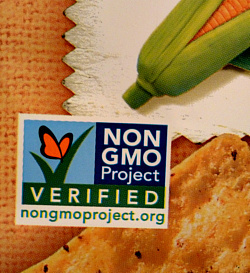 GMOs may make you allergic to non GM foods. GM foods are linked to sterility, disease and death. Thousands of sheep, buffaloes, and goats in India died after grazing on GM cotton plants after harvest. Farmers in Europe and Asia claim that cows, water buffaloes, chickens and horses died from eating GM corn. There are no human clinical trials for GM foods. The only published data on human feeding revealed that material inserted into GMO soy transfers into bacteria living inside our intestines and continues to function. Long after we cease to eat gm products, we may still have GM proteins producing continuously inside us. This could cause disease resistance to antibiotics. In the case of GMO corn, it could make your intestinal bacteria into pesticide factories. These issues and many more will be challenged by the proponents of GMOs and the detractors of gene modification. At this stage of the game, I choose to seek out non GMO foods. The question in my mind is this...when will we know for sure that genetically modified food products are guaranteed safe by governmental regulators and the food industry for human consumptions in the long term? I don't see this happening until the general public has been given the true facts of the food that they are now consuming. When the tipping point of consumer concern about gm products was reached in Europe in 1999, within one week virtually all major food manufacturers committed to remove GM ingredients. The battles that are happening now in the USA to make the public aware will hopefully produce the same result as in Europe. We will not hear the news from government or GM corporations. 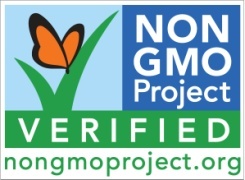 Why Non GMO? - These are the products of natural breeding techniques. Look for non GMO and organic labels. Claims and Counter Claims -Developers of the GMO process have many beneficial claims to continue genetically modified food. However, there is a growing body of scientific evidence that refutes these claims.